In all of my years of writing about the Washington Nationals, there is no recollection of Mike Rizzo ever stating that having a 90-win team on paper going into Spring Training is a goal. In the past week, Mike Rizzo has mentioned this 90-win goal more than once. It must be mission accomplished because Fangraphs is projecting the Nats at 92-70 for the 2019 season, and the Nationals have been projected to win 90-games every season since 2012. Sometimes you win over 90 and sometimes it is below 90 because in real baseball — stuff happens — good and not so good. Projections do not get you division crowns or World Series rings because in “real life” you have to play the games. This new generation of teenagers spends their days simulating games on computers, and they play sports wearing virtual reality headsets like they are actually on the field of play. Projections are like virtual reality, and MLB The Show™ 19 with all of their teases of Bryce Harper‘s future cannot predict the future. Mike Rizzo knows that paper wins only count when the game is over, and 90-wins only count when the standings in September actually read 90-wins. There you have it NatsTown. 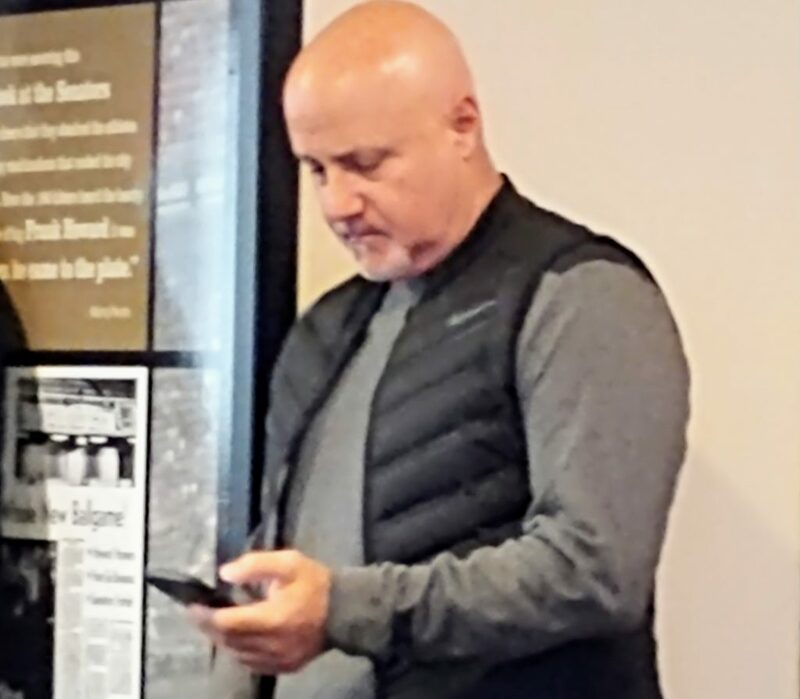 You heard it right from the General Manager Mike Rizzo that he has an off-season plan, but he also went on to say he is not done. That gives us something to look forward to because it would help to build depth especially in the starting rotation. With the competitive balance tax, it will be interesting to see what moves Rizzo could make. No team has added more talent to their 25-man roster than the Nationals this off-season. They have added many All-Stars like Patrick Corbin, Brian Dozier, Trevor Rosenthal, Yan Gomes, and Kurt Suzuki. They also added Kyle Barraclough, Matt Adams, and Anibal Sanchez. All together, the Nationals have committed to those players in salaries and incentives in excess of $200 million which is more than any other team in baseball. The 90-win minimal goal on paper for Rizzo has been met, and Fangraphs is thinking bigger and better for the Nats — and the real season begins on March 28th against the team Fangraphs is projecting for second place in the NL East.